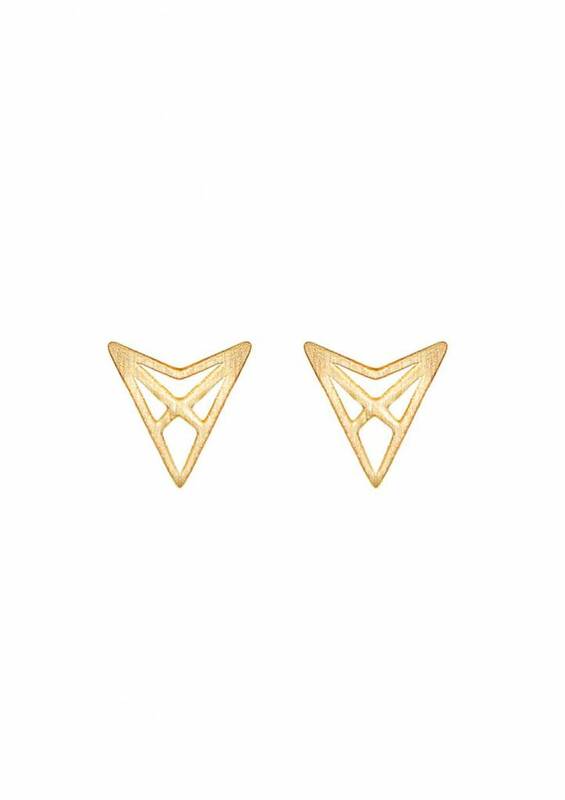 The Triangle Stud Earrings 'HEF' are inspired on the geometrical shape of the lift bridge (in Dutch it's called HEF-brug). 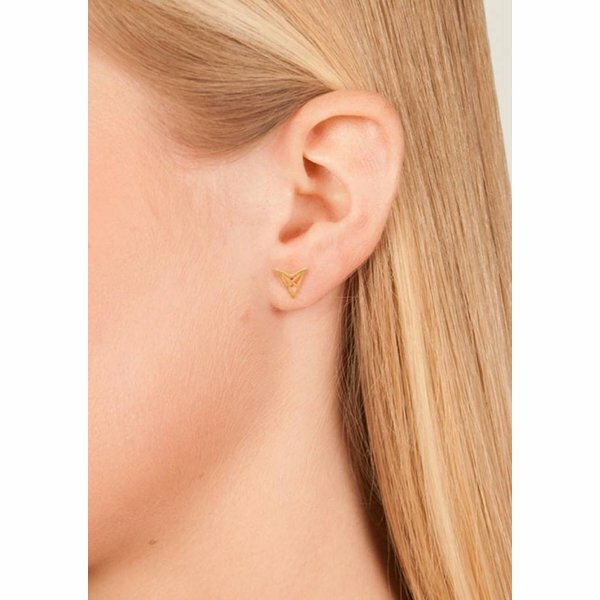 Combine it with our small ear cuff for a minimal killer look. 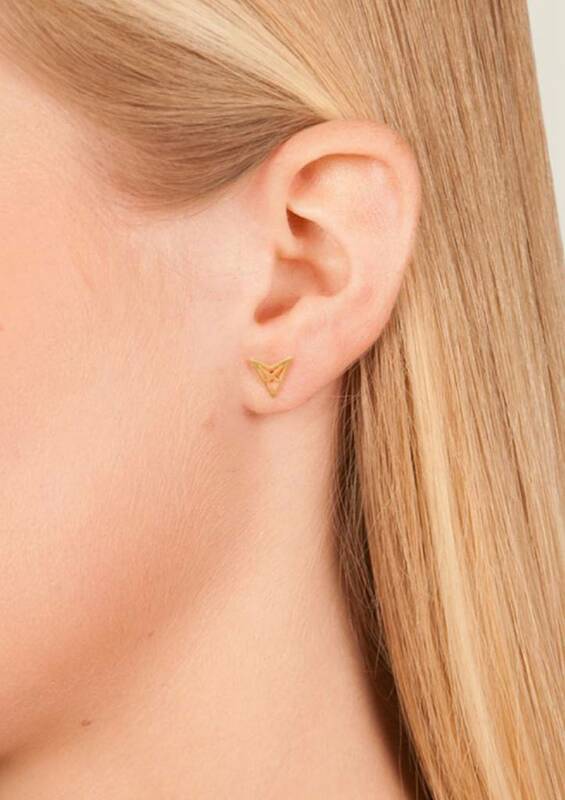 Please handle this delicate jewellery with care. Gold or Rose plated silver will fade with time. In order to keep the beautiful colour avoid the use of acid liquids such as perfume. 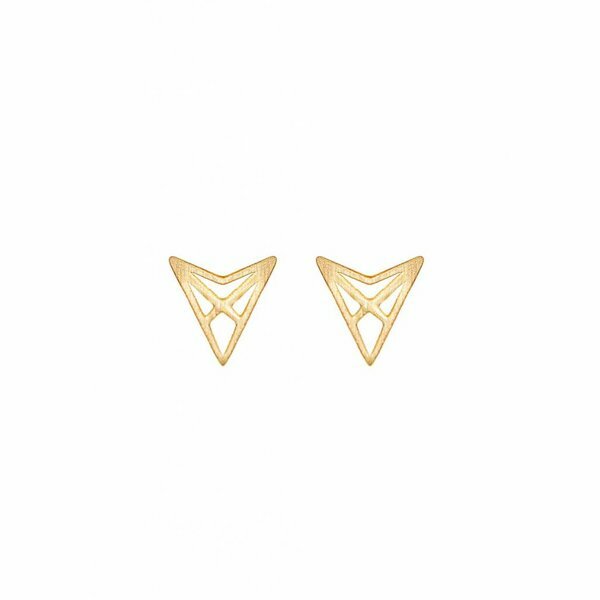 Enjoy your Triangle Stud Earrings!